A young carer is a child or young person who cares for another person. This may be someone in their family who needs looking after because they have a disability or an illness. It could be a brother or sister or a parent or grandparent. A young carer should not have to do so much caring that it makes them upset, unwell or miss school. The average age for a young carer is 12 years old. They can care for family members in a number of ways, including:cooking, shopping, personal care, washing clothes, arranging medical appointments and carrying out housework. Most schools will have children and young people on roll who have caring responsibilities for a parent, other relative or sibling. Some of these will be known to the school, but very often young carers can remain hidden and can be difficult to identify. Schools have a duty to consider the health and wellbeing of all pupils and they can do this in a number of ways. Training for all staff, in the identification of young carers and the approaches that can be put in place to support them can make a positive impact on young carers and their attainment and achievement. At Urchfont, we believe that it is important that we support a Young Carer and their family. This can be done through our own school staff and our Parent Support Advisor but also through outside agencies. Locally, Spurgeons can be a useful source of support for Young Carers themselves and for others who wish to learn more about how they can help. 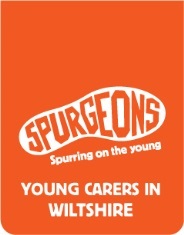 Further information for and about Young Carers in Wiltshire can be found from the Wiltshire Council website.